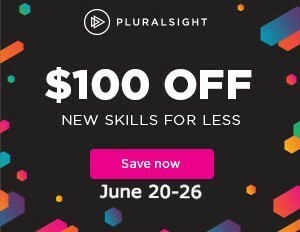 Update: Pluralsight extended this for two more days if you missed this! Good time to renew or finally get an annual subscription to Pluralsight. $100 off regular (so that’s $199) and premium ($349 after discount). But first you need to sign up for the free weekend! In the February 2019 issue of MSDN Magazine (Exploring the Multi-Model Capability of Azure Cosmos DB Using Its API for MongoDB), my Data Points column explored working with the MongoDB model of Azure Cosmos DB using the mongocsharpdriver. I started by working against a local instance of MongoDB and then the Azure instance. But the column was a little bit long so I cut out a few extraneous sections . So I’m placing them here and linking to this blog post from the article. In the article I used an IMongoCollection object to query and store data into the database. You must specify a type for the collection object to serialize and deserialize. In the article I typed the collection to my classes, e.g., Collection<Ship>. It’s also possible to type the collection generically to a BsonDocument. Here’s some information about that and a little bit of code. Logging EF Core’s memory operations and SQL operations has evolved a few times since EF Core arrived. It takes advantage of the same underlying features that ASP.NET Core uses. If you are using ASP.NET Core, logging is baked in and it is really simple to turn it on for EF Core and add filtering. See Shawn Wildermuth’s blog post about EF Core logging in ASP.NET Core. But if you aren’t using ASP.NET Core, it’s a little more complicated. Not terribly, but still there’s some extra work to do. It involves setting up an ILoggerFactory in your DbContext and defining any filters at the same time. My article and courses were using Console apps to demonstrate EF Core behavior and therefore the ConsoleLoggerProvider to tie the logger to the console. Note that the Data Points article contains a lot of good details about the various types of filtering. So you can use the new syntax (below) to specify that there should be a filter, but be sure to read the article to learn about the flavors of filtering and what type of details you’ll be able to see based on the choices you make. But the logging API has continued to evolve and is providing some of the same shortcuts that ASP.NET had created. And the ConsoleLoggerProvider has been deprecated. 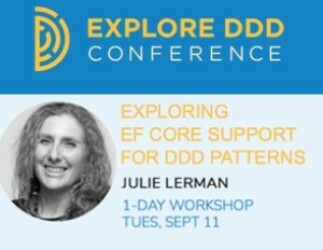 The API is not part of EF Core. It’s part of .NET Core. Both EF Core and ASP.NET Core use it. If you are using EF Core 2.2, the syntax has changed (simplified) and it’s going to get even more streamlined in 3.0. For a point of comparison, here is an example of using theold syntax to turn on logging, only show logs related to database commands and only show messages that are tagged as “Information”. Once your logger factory field is defined in the context class you tell the DbContext to use it when configuring. So it’s the creation of the logger factory whose syntax is a little convoluded. The newer API follows how ASP.NET Core lets you filter with an AddFilter method that takes the filters as parameters. No lambdas needed. Also configuring the filter is a separate bit of logic that tellig the logger that it should be tied to the console. With EF Core 2.2, you can set up the logger factory in the constructor or another method as long as it’s available when you are configuring the option builder. I’m creating it in a method then using that method as a parameter of UseLoggerFactory. I’m still filtering on showing only database commands and log details flagged as Information. In order to use the AddConsole() method, you still have to use the Microsoft.Extensions.Logging.Console package that the earlier ConsoleLoggerProvider was in. However, you do not need a using statement for the namespace (as you did for the ConsoleLoggerProvider). that won’t work for the 2019 CTP. I was able to repull (aka update) using the former repository, but that wasn’t working for the CTP whose tag is vNext-CTP2.0-ubuntu. I recently decided it was time to start a newsletter to be sure people who are interested don’t miss out on things like new Pluralsight courses or articles that I’ve published, conferences I’m speaking at and even workshops that I’m teaching. I figure with 26K twitter followers, there might be a few people interested.